SCHOOL AS NORMAL: Parents collect their children yesterday outside the Jordan Hill Presbyterian Primary school in Princes Town, a day after a teacher was robbed at gunpoint of her van. THE Nissan Frontier taken at gunpoint from a trainee teacher at the Jordan Hill Presbyterian primary school on Wednesday was found abandoned in Block 6, Palmiste during the wee hours yesterday morning. Angel Narine told Newsday she was happy her vehicle was found but is seeking counselling as she is unable to sleep. Narine, 28, was accosted by the bandit at 7.20 am on Wednesday who demanded the keys to her Nissan Frontier NP300 pick-up. Several children and staff witnessed the incident and classes were dismissed early as children reported feeling frightened over the incident. Yesterday, Narine said police told her that Palmiste residents reported seeing the van on the roadway at 3 am. “They parked it in front of a house and left it there. They changed the number plate and were using the registration of another vehicle taken from somewhere in Arima. They put an Apple sticker on the back windscreen and changed the number plates but otherwise it looks like nothing else was tampered with,” Narine said. When Newsday visited the Princes Town school yesterday parents said classes had resumed as usual. Hardath Beeka said he saw no reason to keep his two grandsons out of school as he felt the incident was an isolated one. Beeka said he was robbed several times in the past and is now immune to the fear of being held up. 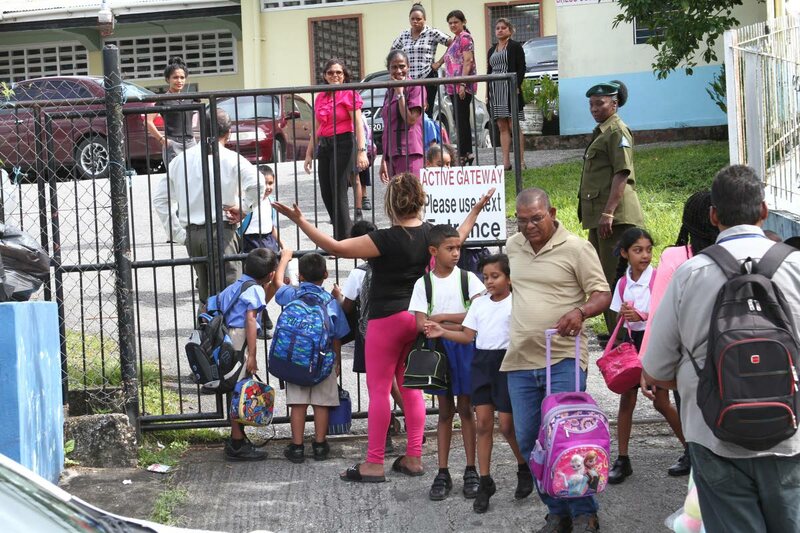 Another parent Melissa Rampersad said although she is fearful for her children’s safety, she does not want to keep them away from school as she too felt the incident would not be repeated. However, Rampersad said security at the school needs to be beefed-up as there is still only one security officer on duty. Reply to "Teacher’s stolen van recovered"